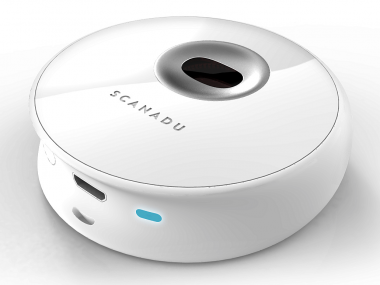 Health startup Scanadu has wrapped up one of the most successful Indiegogo efforts to date, raising $1.66 million in orders to test its iPhone-linked medical device. Scanadu said it had more than 8,500 funders from 110 countries — this despite announcing it would have to raise the price of the product to deliver the type of experience it wanted to. The first 1,000 units sold at the original $149 price, but the remainder were at the new $199 price tag. The Scout is designed to measure various health data over time, including blood pressure, pulse and temperature. Scanadu is calling its early backers “testers” and says the data from those initial sales will allow the company to get the information it needs to get Food and Drug Administration approval to start selling the Scout commercially. Indiegogo backers should get their devices by next March. The company hopes to have the Scout broadly available by late 2014 or early 2015.